Girona vs Alaves predictions for this Saturday’s game in Spain’s La Liga as the visitors aim to reach the midway point in the season still in the top four. Read on for our free betting tips and predictions. The third game of the day this Saturday in La Liga comes from Catalonia where Girona take on high-flying Alaves. The visitors moved back above Real Madrid and into the top four last weekend with an impressive win over Valencia. If they can bag the points here then they will guarantee themselves a top four place at the halfway point in the season, no mean feat for a club of their size. 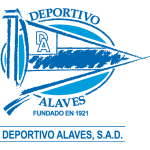 It hasn’t been such a good week for Alaves since their win over Los Che though. Ibai Gomez, one of their star performers this term, completed a move to Athletic Bilbao on Thursday. The winger has effectively swapped the top four for the bottom four so some will question his motives and a reported fee of £3.6 million is a relatively modest sum in this day and age for a player of his talents. Girona meanwhile are also having a solid campaign. They’ll be very happy with their current 9th place, particularly given the injury problems they’ve had to deal with. There have been a few signs that their squad has started to become a bit stretched in recent weeks though, with none of their last 5 league outings yielding maximum points. The bookies still make the hosts the clear favourites here but there are many reasons why Alaves look capable of getting a result. They were very good last weekend against Valencia, sealing victory with relative comfort in the end. They also won their most recent away game against Sociedad, their 4th away success of the campaign in La Liga. Girona’s home record is another reason why we have reason to expect the visitors will get at least a point. It’s just 2 wins in 14 home league games for the Catalan club now. They have been dependent on some positive away results to really fire them into mid-table this term and with some key men still sidelined, they may struggle to bag all the points here against a confident Alaves side. Overall backing Alaves Double Chance could be the way to go. They may not have quite enough firepower to seal a win that would see them rise to 3rd temporarily at least but they’re playing more than well enough to get a point. Backing Cristhian Stuani to score anytime also appeals. The Uruguayan is having another inspired season for Girona with 11 league goals, at a rate of one every 118 minutes. The 3-2 win for Alaves against Girona at Montilivi last season is their biggest comeback victory in the top-flight in the 21st century. 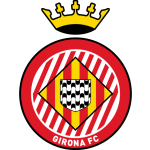 Girona are winless in their last five LaLiga games (D3 L2) and could equal their longest run without a win in the top-flight of six games set between September and October 2017. Alaves have earned 31 points in LaLiga this season – if they win against Girona, they will record their best total after their first 19 games of a top-flight season (34 points). Girona have scored 65% of their goals in the first half of games in LaLiga this season, the highest percentage of any side. Girona striker Cristhian Stuani has failed to score in his last four LaLiga games and could record his longest goalscoring drought for the Catalonian club in the top-flight (five games without a goal). Alaves’ Ibai Gomez has scored one hat-trick in 182 games in LaLiga (against Girona at Montilivi last season). Girona manager Eusebio Sacristan has won eight of his 10 games against Alaves in all competitions (D1 L1), more than against any other opponent in his managerial career. Alaves boss Abelardo Fernandes has only won one of his three managerial LaLiga games against Girona boss Eusebio Sacristan (L2), 5-1 with Sporting in January 2016.